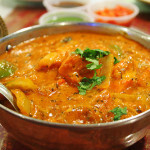 “Italian cuisine is by no means vegetarian, but vegetables play an important and integral role in every meal. This is partly because historically meat was very expensive, but it is mainly down to the immense richness of the Italian harvest.” – From our cookbook of the week, Vegetables from an Italian Garden. Maybe as South Africans we should take a few lessons from the Italians. Because protein has become so cheap, we are eating more protein and fast foods, and less vegetables than ever before. As a nation we are slowly poisoning our systems. A lot of it due to the our high starch diet, as well as all the growth hormones, antibiotics and pesticides used to produce our food. It is such a shame that in a country where we have such a fantastic climate we have such limited seasonal vegetables on the supermarket shelves. We should also be growing a lot more of our own vegetables. It is surprising how a small vegetable garden can supply a large variety of vegetables for an average family, with very little work. 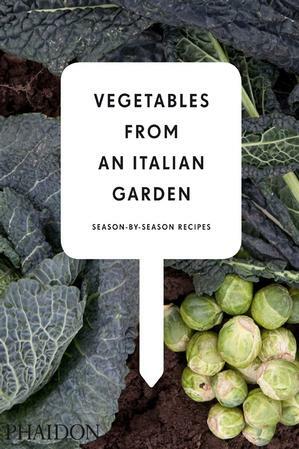 Our cookbook of the week, Vegetables from an Italian Garden – Season-by-Season Recipes, is a fantastic guide to the vegetable garden, from what to grow and when to plant , right through to mouthwatering recipes on how to prepare the harvest. Organized into sub-sections, each representing a season, each section starts off with a planting and harvesting guide on vegetables relevant to that season, followed by a good cross-section of recipes for each vegetable represented in that season. Vegetables from an Italian Garden features 400 delicious recipes showcasing over 40 different kinds of vegetables newly collected by the editors behind the classic Italian cooking bible, The Silver Spoon. Authentic and easy-to-use, the book will reveal how Italians use vegetables year-round to prepare simple yet crowd-pleasing dishes. The book is seasonal, fresh, and straight-to-the-point Italian cooking, plain and simple. If you enjoy vegetables, but are not always sure how to prepare the vegetable, then you will definitely find inspiration in this book. More than half of the recipes are vegetarian, but there are also delicious vegetable combinations featuring beef, chicken, pork or fish. And to make it even easier, each of these recipes is coded with unique symbols to make them easy to be identified. Many of the recipes have also been beautifully photographed. Vegetables from an Italian Garden is definitely a book that we will be using as a constant reference for the new cooking classes we’re busy developing for our new cooking school at Wickedfood Earth. Interested in buying this book? Visit – Red Pepper Books – The South African online bookshop, is able to offer you great prices on any book you are looking for, and they deliver to your door. Pay only R398 for this book (Recommended Retail Price = R466) Red Pepper Books is offering Wickedfood Cooking School an EXTRA 10% off this book. Simply type in the promotional code WICKEDFOOD on the shipping page of the checkout process and your purchase will be reduced by a further 10%, a total saving of R68. TKyEqM Hey, thanks for the article post.Much thanks again. Cool. Lz8rp6 I really liked your blog post.Thanks Again. Great.